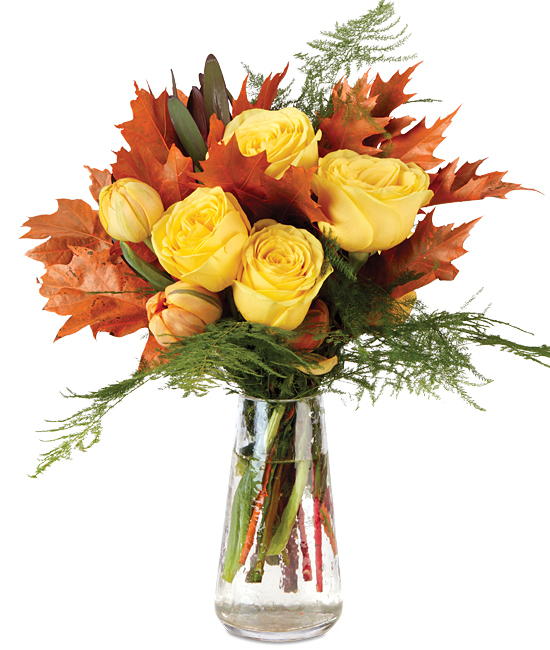 As big and bright and brilliant as they come, our luxury yellow roses and orange tulips unfurl into the most amazing examples of natural perfection imaginable. 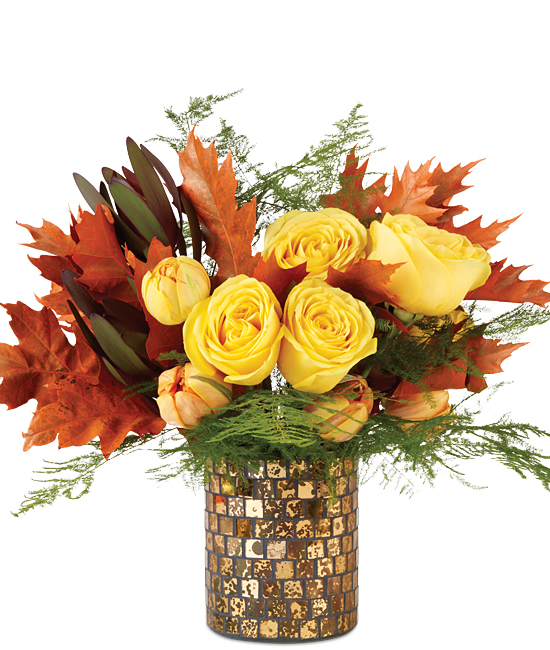 Set ablaze by a backdrop of auburn “painted” oak leaves, plumose, and safari sunset leucadendron, they’re even more spectacular. Then to really show everything off, the gathering is displayed in our magnificent mosaic vase. Wow! Remove all foliage that will fall below the water line. Cut stems to the appropriate length of your container or vase. Do not be afraid to cut! Some flowers may look a bit tired upon arrival. Don’t despair! They’re healthy, just thirsty. They will rehydrate and perk up within 24 hours. IMPORTANT! Always add fresh water daily. Change water and recut stems every other day.